My next round of stamp club starts next week and I thought I'd get ahead a bit and work on the projects for it in advance. 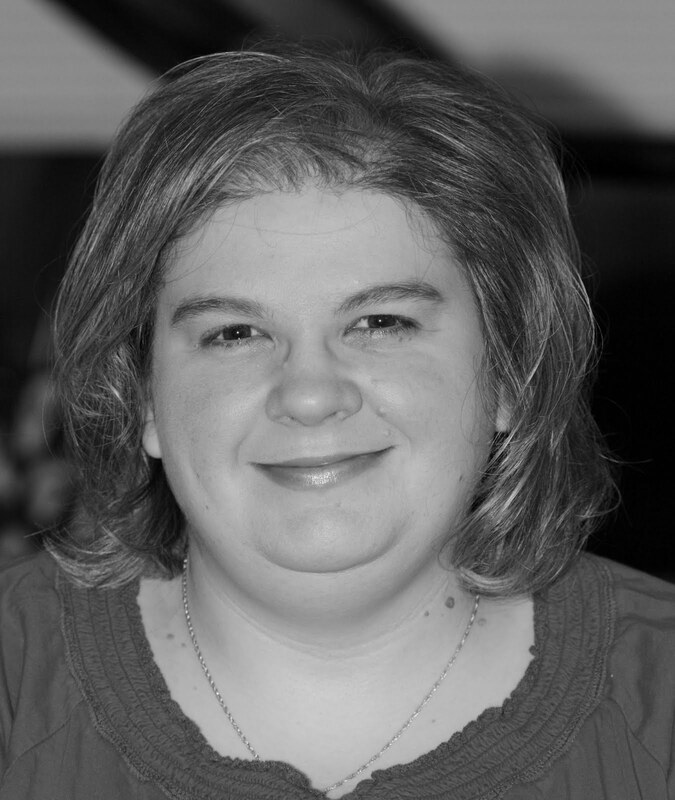 :) I've found it is much easier to create without the pressure of a looming deadline. I wanted to use some of the beautiful Sale-a-Bration projects and thought this would be a good start. I think I'll remake it and leave the sentiment off the bottom as it is annoying me. Just a few random things... I'm not the only paper crafter in our house now! 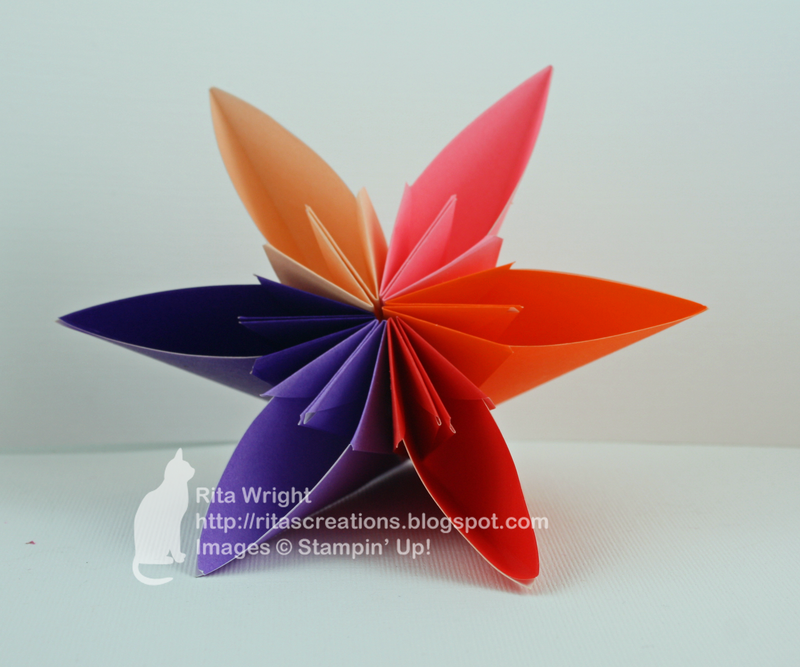 Jason decided he liked origami, so I got him a kit to play around with. This flower was one he made me for Valentine's Day. Wasn't that sweet? It came with a beautiful poem he wrote as well. It was awesome to get something so special. I got my real gift last month in the form of an iPhone 4s, so it was great to still get a little something on the actual day. How lucky are you to have a hubby into Origami - love that flower he made for you. 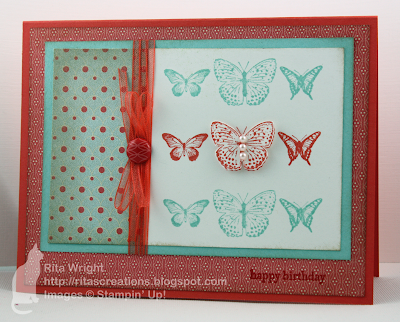 Your butterfly card is really pretty - love the colour combo you've chosen. Such a sweet little sailor dress - it must be so so exciting to go shopping and pick up all these adorable little outfits. I'm excited for you guys! WOW! This card is stunning! I do agree that the sentiment should be left off....I like the simplicity of it with the border unadorned! I always loved sailor dresses too--that's a cutie! Great card! Love the CAS look...and the subtle sentiment looks great to me. OK no comment on the card which is so cute but go CRAZY with the cute little outfits and put your little girl in something different every day and do what makes your heart SING. It REALLY is true that it goes by too fast. I feel like I was sewing frilly, beautiful dresses last week and now my daughter is taller than me and threatening to leave me in 3 years:). Enjoy every onesie, blankie, pair of sparkly shoes and all that comes with the blessing of a little baby girl. OK Now for a comment on your card. I love this color combination it is one of my favorites. 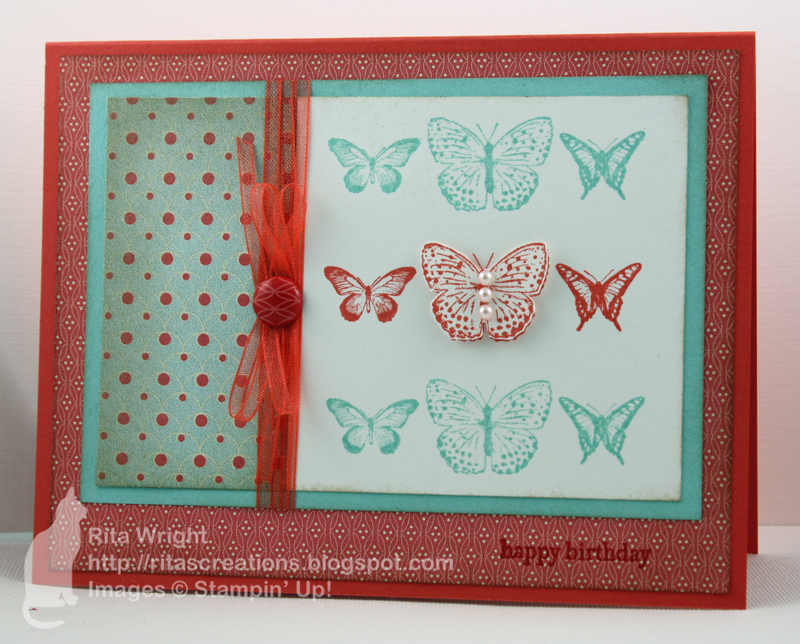 I love how you have repeated the stamped image and "popped" the center butterfly with pearls. Such a beautiful layout and overall amazing card. I just love your work! That is such a pretty color combo and I love that layout. I may have to CASE it. Laila's dress is so pretty. She's going to be such a well-dressed girl!